To gain access you’ll need to hand over $80,000 as a sign up fee. This is the current market rate for a rusty Aston Martin DB4GT which contains the all important Chassis Number. A select few of these hulks are fortunate enough to find their way to Paul and his team from Dune Body Works (located in Carrum Downs, Victoria Australia). Using the same skill as the original coach builders they’ll sculpt a new “old” car for you – by hand. It’s an amazing skill to turn a flat piece of aluminium and hand form it into an a series of flowing curves and lines. Every day the soft aluminium is cold worked as it takes shape increasing it’s structural integrity. Over 4000 hours are poured into each vehicle with every nut, bolt being meticulously refurbished or re-manufactured. Working with Paul’s team Objective3D Direct Manufacturing recognized a number of areas, where 3D printing could help. From parts (steering wheel cowl, gear knob, switch gear) to jigs and even dollies (printed plastic ABS) to form, beat and check body panels. “Being hand made is part of the attraction for our customers. Whereas each car is unique (which comes from anything hand made) some aspects need tighter control. ” said Paul. “But we’ve utilized 3D printing for parts which either just don’t exist or to assist with specific areas of the body where accuracy is critical”. 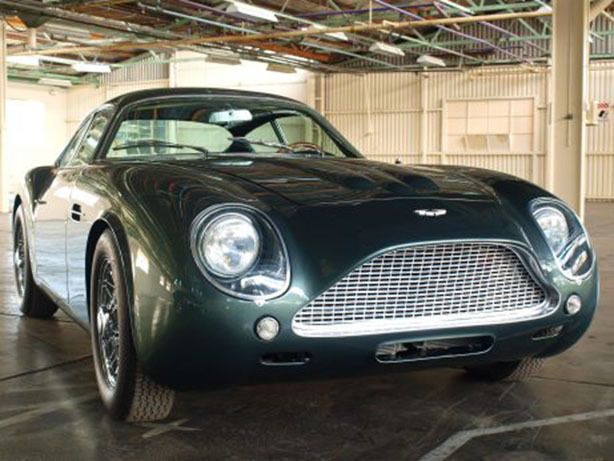 With a production rate of 1.5 cars per year, start looking for your chassis now (there were only 1,185 DB4 and 19 DB4GT Zagato produced) by the time you get it to Paul he might be able to squeeze you in.